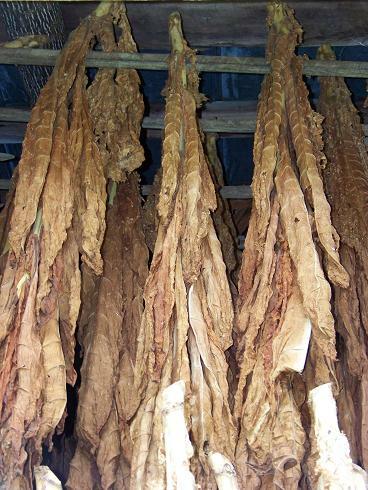 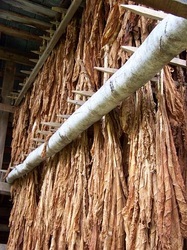 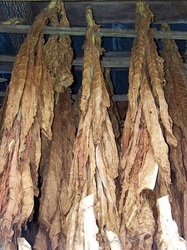 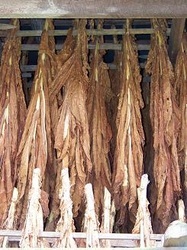 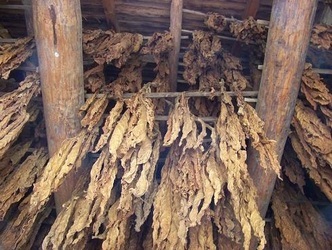 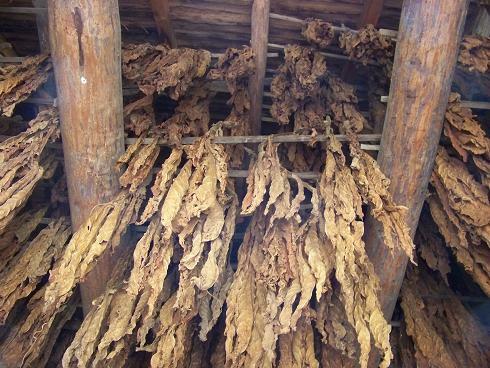 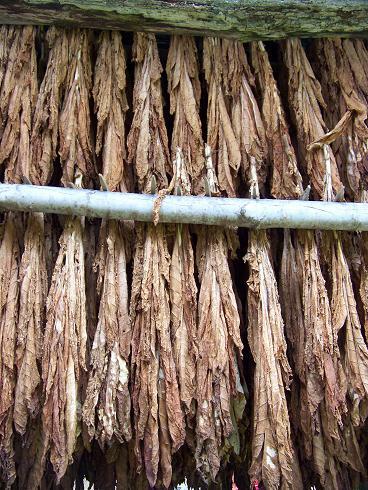 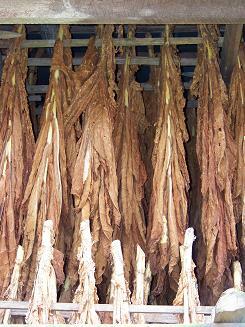 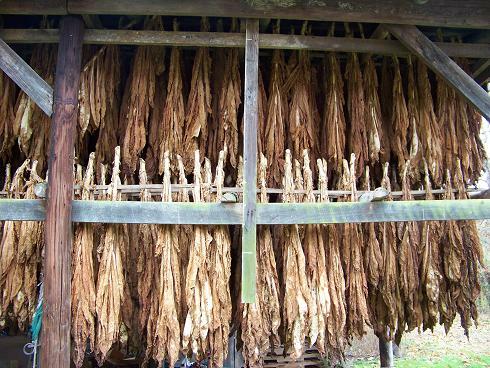 When burley tobacco is hung in the barn it essentially dehydrates over a long period of time. 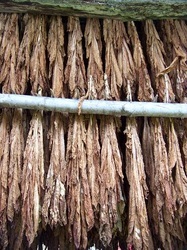 After most of the moisture is gone from the leaves each leaf will be stripped from the plant and made ready for sale. 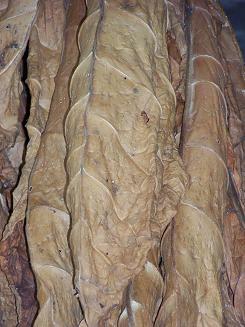 The leaves cure into a variety of colors ranging from deep red to bright auburn.